Websites aren't a luxury for any business - especially your cleaning business. There's so many questions your potential customers have that can easily be answered by a well-designed website. Consumers today are turning to the internet for nearly any type of information they need and that includes companies who offer cleaning services. Whether they're searching for a house cleaner, carpet cleaning, someone to do regular window cleaning, or even a janitorial services company - you need to show up in the search results if you want them to consider hiring your company. Start with a clean attractive layout - too much clutter turns people away. Some text, a few bullet points, a nice photo, and a call to action is a good foundation. 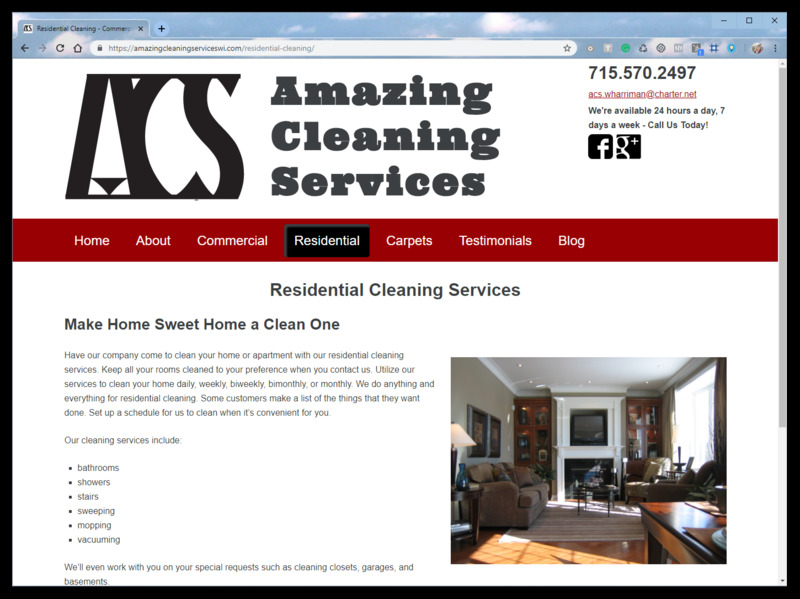 Sell benefits not services - Amazing Cleaning Services tell their customers, they'll make Home Sweet Home a Clean One. That's a benefit. They also say they'll keep all your rooms cleaned to your preferences. Talk to the customer and tell them how you're going to help them. I don't have to worry about my website and everything that goes with it. Rose gives so much to making sure your website is on target for your business needs and to meet the needs of your customers. Ongoing website maintenance, security, and off-site backups are a few of the benefits I enjoy with her monthly ultimate support plan. Having gone through a few website builders in the past, I knew I hit the jackpot when I hired Nerd Free Marketing. 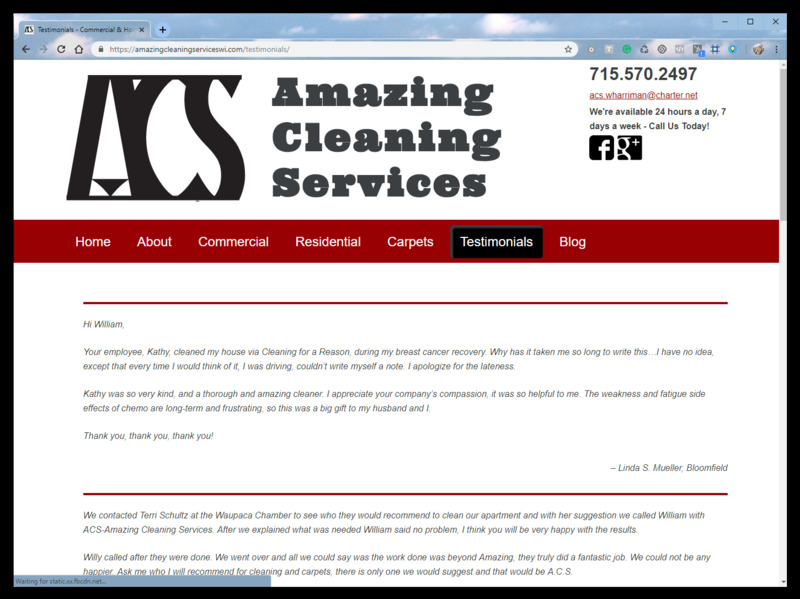 My Cleaning Business Needs a Website!